Paul Gascoigne believes former team-mate Gareth Southgate is doing an "unbelievable" job as England manager. The Three Lions reached their first World Cup semi-final since 1990 in Russia this year in a campaign that greatly boosted the harmony between the national team, the fans and the media following years of tournament disappointment. 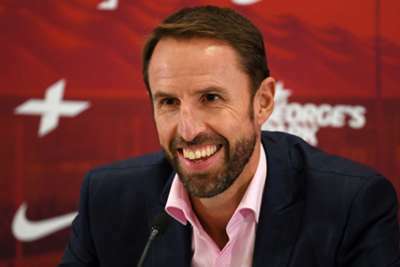 Gascoigne met up with Southgate on Tuesday ahead of their 1-0 friendly victory over Switzerland at Leicester City's King Power Stadium, a result that lifted morale after a 2-1 Nations League loss to Spain at Wembley. Southgate claimed after that match that his side lacks the "unique" talent of a player like Gascoigne to make the difference against some of the world's finest sides. But the former Newcastle United and Tottenham star thinks England are nonetheless playing a brand of football to make the fans proud. "Gareth Southgate has got England playing the way football should be played," he told talkSPORT. "Gareth, as a manager, I am proud of him. I said it before the [Switzerland] game: 'Gareth, I am proud of you – thanks for what you said about me, best player in the world for over 50 years'. I am 51 so I must have been good at one year of age! Good to see you, @paul_gascoigne8!